The VIU Library is located on the first floor in the main building. 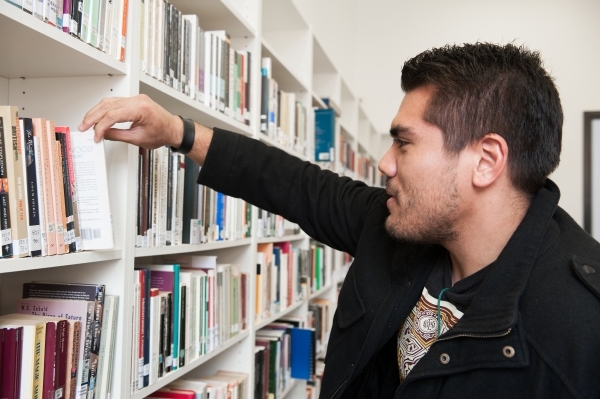 The library is open to the public however only VIU card holders can borrow books. The VIU card is available to students of VIU programs (issued by the VIU Front Office). Books are available for 1-day or 7-day loans depending on the indications given by the professors in the courses. Compulsory texts can be borrowed for one day. Complimentary texts can be borrowed for 7 days. DVDs are available for 7 day loans. Films in the VIU Movie Series will not be available until they have already been screened. Loans may be authorized to students of other member universities subject to request and verification. Please address such request to the librarian. The scope of the VIU library is to provide all the necessary and useful materials which may be required by the students and the professors who come to VIU for courses, seminars and to participate in VIU conferences. The library collection has been gradually increasing over the last 15 years of activity and nowadays it offers around 4000 items, including books, periodicals, DVDs and music CDs. All the materials are first classified according to the Dewey Decimal System and then divided and arranged according to some macro-themes: e.g. History (in particular the history of Venice), Art History, Social Sciences and Economics. There are also dedicated shelves for each course in the Globalization Program. Sudents who are interested in volunteering in the library, can have the opportunity of working 2-4 hours per week, learning librarian skills as well as helping with the lending and organizing of the books. The MacLab room close to the Library is an attractive, comfortable study hall too, it is accessible to users 24 hours a day.